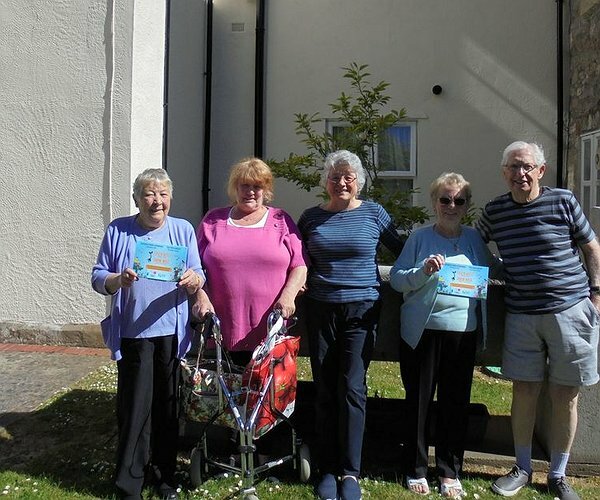 Residents at the Pentre Mawr sheltered housing scheme in Abergele are all set to take a walk on the wild side this summer as they are busy sewing wild flower seeds to enhance their communal garden areas. The scheme, which is managed by Clwyd Alyn Housing Association, is taking part in Grow Wild, the national outreach programme for Kew Gardens which aims to transform spaces through UK native wildflowers, attracting pollinators such as bees and butterflies. “We’ve got many keen gardeners living at the scheme and as well as tending to our cultivated areas we’re also happy to embrace the wild side of nature in some of the quieter areas of the grounds,” said Scheme Warden Alison Pring.